Are you tired of hemorrhaging money on vacations? After it’s done, do you feel like you need a vacation from your vacation? From now on, you can vacation without the stress because the new vacation is a staycation. Recently, I attended my brother’s wedding in Greece with two of my children. My wife was eight months pregnant at the time, so she and our two-year-old stayed home as I embarked on the journey with the other two kids. Did we build some memories on that trip? Yes, but after 28 hours of travel time both ways and food that was “stinky and strange” to the kids, I could have skipped the inconvenience. Yes, it was a wedding in Greece, and it was pretty awesome for me, but frankly, a road trip to Chicago (2.5 hours from my home) could have easily created memories for the kids. I can’t even imagine how difficult it would’ve been if my pregnant wife and two-year-old child had come. With more than 60 percent of families being dual-income homes, finding time (and money) to go on that dream trip with the kids for a unique cultural experience is daunting. Are you really spending quality time with your kids by dragging them around, exhausted and overstimulated from event to event? A staycation will alleviate all the pressure and will build lasting memories without the rush and stress of the typical vacation. To clarify, I should add that my definition of a “staycation” includes both at-home time together or events and destinations reachable via relatively short drives. 1. Have an indoor adventure. Trampoline parks like Rockin’ Jump help little ones get some serious “air time” as they somersault into the stunt jump air bag. They can experience exhilarating obstacle courses, slam dunk some basketballs, scale rock climbing walls, and even joust. For an alternative to jumping, several other indoor gyms exist that provide anything from circus-based attractions to gymnastics programs. 2. Take the plunge. I live within an hour of Wisconsin Dells, and my family frequently takes advantage of the outdoor and indoor waterpark options. This is such a fun choice for a staycation that includes either a daytrip or a short overnight trip. You’d be surprised how closely so many of us live near waterparks, so do a little research to find those nearest you. Waterpark resorts offer overnight options that are a blast! 3. Explore the great outdoors. When was the last time you and your family appreciated the natural beauty around you? Most people live near a county, state, or national park, making this an ideal option for a camping staycation. If money is tight, the national Every Kid in a Park program — beginning Sept. 1 — allows fourth-graders to get in free to all national parks, or you can check for free days offered throughout the year. Being in a natural environment not only lowers your stress, but nature also takes care of the entertainment so you don’t have to plan a thing. 4. Check out local sporting events. Watching sports isn’t my family’s favorite pastime, but we have enjoyed several local hockey and baseball games over the years. Here in Madison, Wisconsin, the University of Wisconsin has athletics programs that won’t break the bank and will provide kids with unique opportunities to meet the players — and you won’t have to pay hefty ticket prices. We also have a few feeder league and semi-pro teams in the area with robust local game schedules at a reasonable price. So play hooky for a day and choose a nearby sporting event for your next staycation. 5. Give back. Whether it’s volunteering with a religious organization, serving at a homeless shelter, or assisting at an animal rescue, giving back not only helps your community, but it can also give children a newfound gratitude for what they have. Studies show that kids who volunteer regularly are 50 percent less likely to get involved in behaviors involving drug and alcohol abuse. This perspective-changing experience will build lasting memories for your family and possibly change the course of your kids’ lives. 6. Stay in your PJs for the day. Some days are perfect days to make memories inside the comfort of your own home. Keep those pajamas on and have fun playing board games, Wii, or PlayStation (although if you’re like me, those “Just Dance” moves may elicit an abundance of giggles and eyerolls); watch some movies; or just huddle under a blanket on the couch and laugh together to reconnect. A staycation doesn’t have to be boring, and it doesn’t have to be restricted to your home. 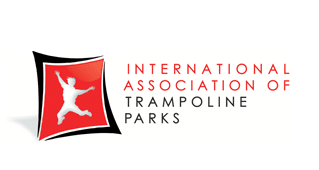 Enjoy getting out in your community to visit jump parks, playgrounds, or waterparks. Break out of the humdrum and catch a local sporting event, volunteer, or stay in and build lasting memories that root themselves into the hearts of your family. Kids grow up quickly, so enjoy them and remove the stress with a staycation. You can do both!